September can be the best month of the year! 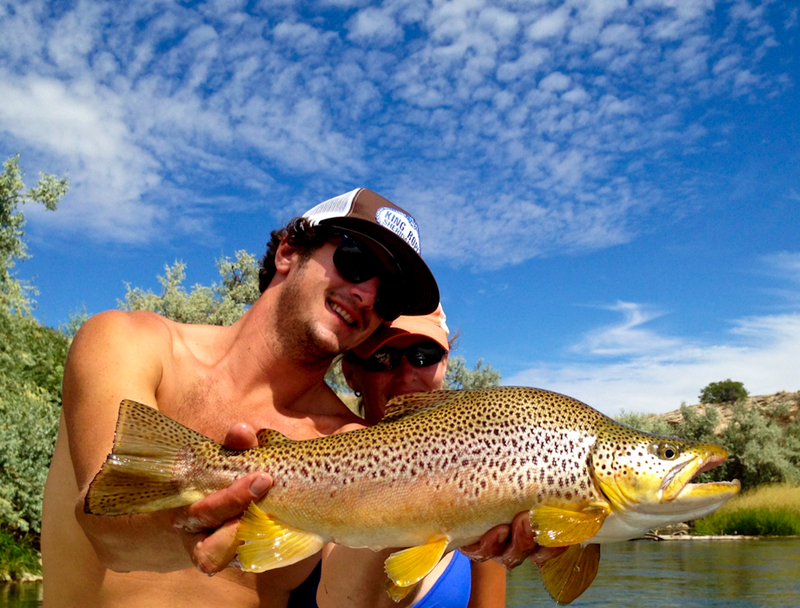 humpback brown trout do exist…. Come join us this month for some of the best fishing of the year. Headhunting, Streamer, Nymphing, and Terrestrial fishing are all available. As hunting season begins the river will empty and offer solitude and large trout for the non-hunting anglers! Come join us for a September adventure in Wyoming. Capt C and top guide Steve Beaz took the jetsled out yesterday to see how the wedding of the waters was fishing. Streamers were the ticket with black, brown or olive articulated streamers working best. Fish were holding tight to the bank, however a few fish were picked up mid river in shallower spots. 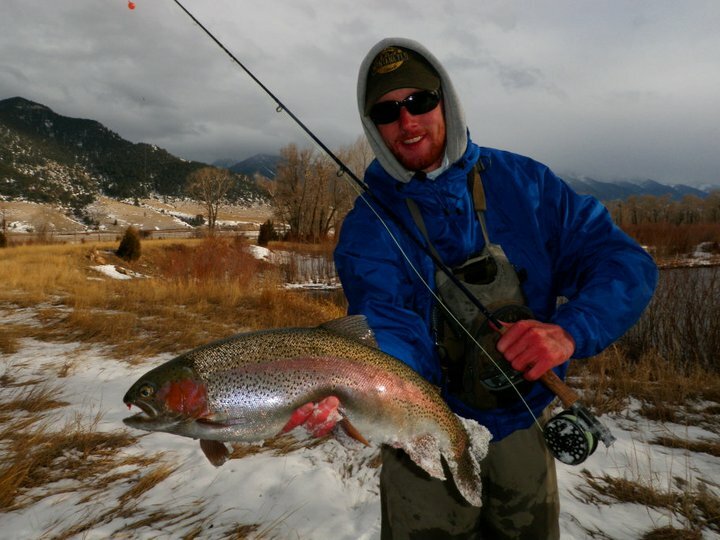 Buffalo Creek is still dumping in mud, but the river remains very fish-able. Floating moss is starting to become a problem and will only worsen. Subsurface fishing will become more and more difficult as the summer passes. 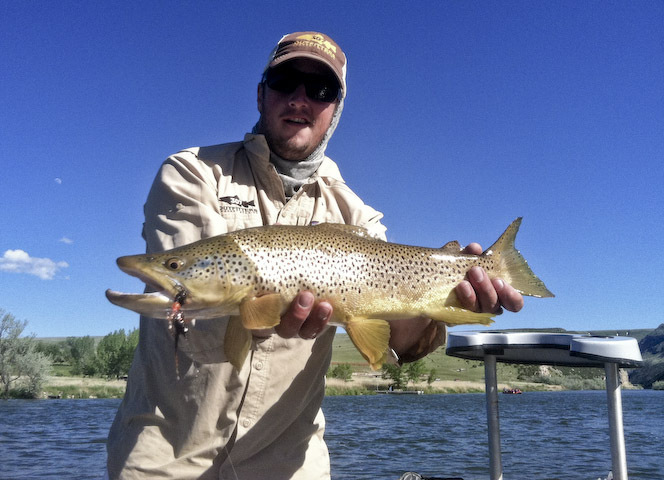 Tricos should start popping on the Bighorn River soon. Until then get out and enjoy the few rivers that are fishing well. Enjoy! this just in from up north. birthday bow from friday. spring creek fishing at its finest…..